BERT is a simple way of introducing electrical resistance and resistivity to a class. 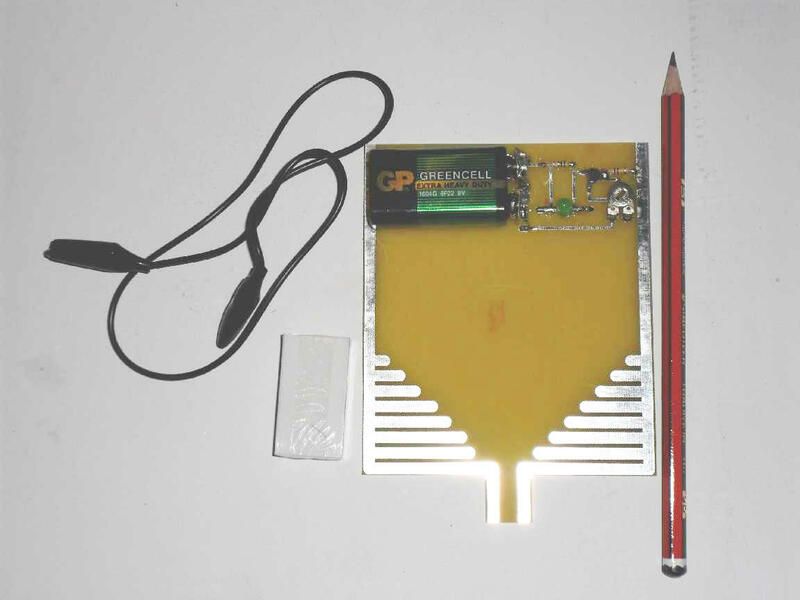 It consists of a circuit board that may be drawn on using the supplied pencil. Connecting the two sides of the board together by a pencil line gives a conducting track and the LED lights. The brightness of the LED gives an indication of the resistance of the path. Drawing the line thicker decreases the resistance, as does shortening the path. Resistances in parallel may be studied and a “volume control” simply made. BERT may also be used to test various materials to see whether they are conductors or insulators. Liquids and pastes may also be tested. The conductivity of the class may be studied as well as how a switch works. When you are finished the pencil lines may be removed with the supplied eraser. A stunningly effective way of teaching the basics of electrical resistance. 1 x full set of teaching notes.